There were male tears on the faces of Keegan-Michael Key and Jordan Peele, whose raucous Keanuseems like a fun-enough romp. (The crying comes in at about 1:33. )Tears dripped down Ryan Gosling’s dreamy visage, in a scene from The Nice Guys. (The crying comes in at about 1:19. 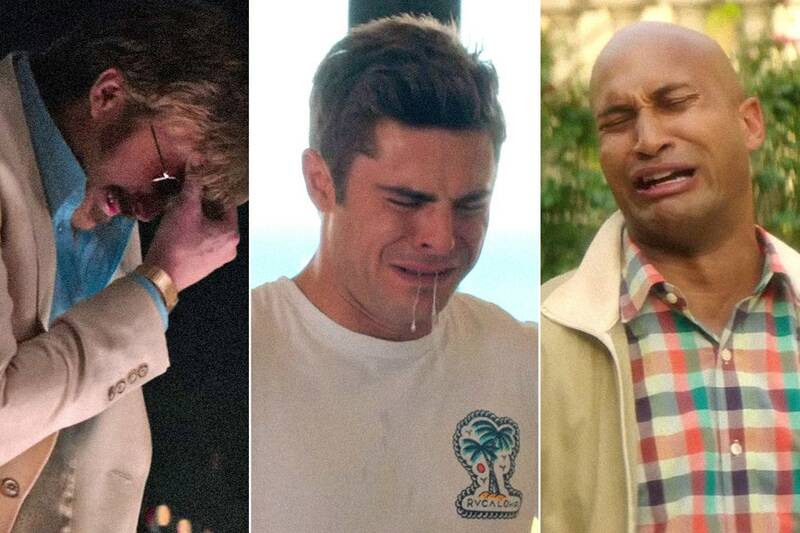 )Zac Efron and Adam Devine turned in a snotty sob in the trailer for Mike and Dave Need Wedding Dates, though that might be the steroids. (The crying comes in at about 1:42. )This is all fine; men have tear ducts, too. It’s a little grating that writers find male tears funny enough to include them as a sight gag in so many forthcoming movies. Is it a writing crutch? Maybe, but it’s not worth crying over.